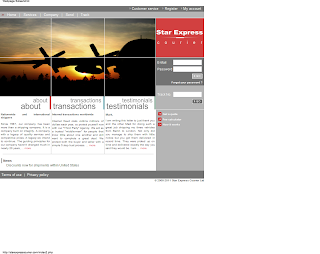 starexpresscourier.com is a fake shipping and escrow company run by scammers in Romania. These scammers place fake ads for vehicles on the internet and ask for payment, usually with Western Union or MoneyGram. We all know thats automatically a scam. The fake site is being hosted by a company in Thailand. name: Chaiyo Hosting Co., Ltd. The site is being hosted by my "ole friends" at XO Communications. The targets of these scammers are people looking to rent an apartment in Lough Atalia Ro, Galway City Centre Ireland.